The new Chevy Traverse for sale at Chevrolet of Naperville offers generous amounts of cargo capacity and an engine with cost saving efficiency. If you need a three-row SUV that can stand up to the demands of Aurora families, the Traverse is worth a closer look. Edmunds says, "when it comes to a pleasant highway ride and the most room to spread out and carry your stuff, nothing beats it." Explore our inventory online today before you stop by our showroom near Bolingbrook. Why Buy a New Chevrolet Traverse at Chevrolet of Naperville? 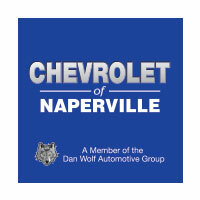 From the moment you set foot at Chevrolet of Naperville, you'll get more than a standard car dealership experience. We offer new vehicle specials which make the Equinox and other models more affordable than you might think, and our financing department will work hard to get you the low interest rate you deserve. Visit us today near Romeoville to find out why so many of our first-time customers become customers for life.